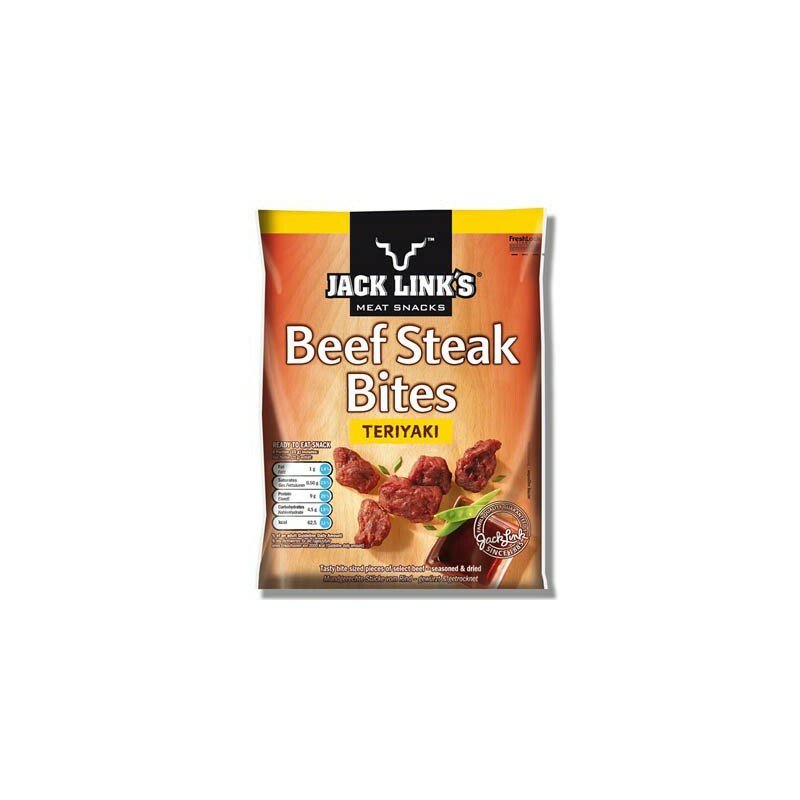 Supplying Americans with THE ULTIMATE ROAD TRIP FOOD, Jack Links starts with premium cuts of meat, perfectly seasoned and smoked for a subtle smoky flavor. 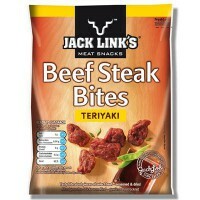 Jack Links delivers the goods on this all-American snack! With soy, ginger, a little onion and a whole lot of perfectly smoked beef. 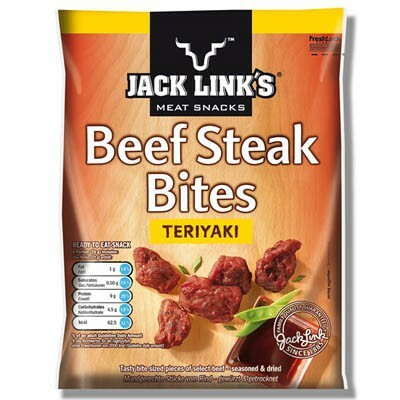 Jack Link's Teriyaki Beef Steak Bites definitely the best of East meets West! Heaven by the handful! Do not eat oxygen absorber. 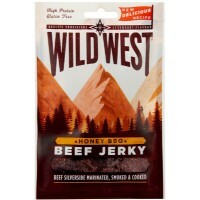 Beef, sugar, salt, soy sauce (water, wheat, soybeans, salt), maltodextrin, flavor enhancer E621, spices, flavoring, hydrolyzed corn gluten, antioxidant E316, nitrite curing salt (salt, preservative E250), preservative E202, smoke flavor. Je pourrais me decendre 10 paquet la maintenant desuite !! !C'est TROP BON !!! !